Felt pads on the chair feet to help prevent scratching. Only for indoor use! 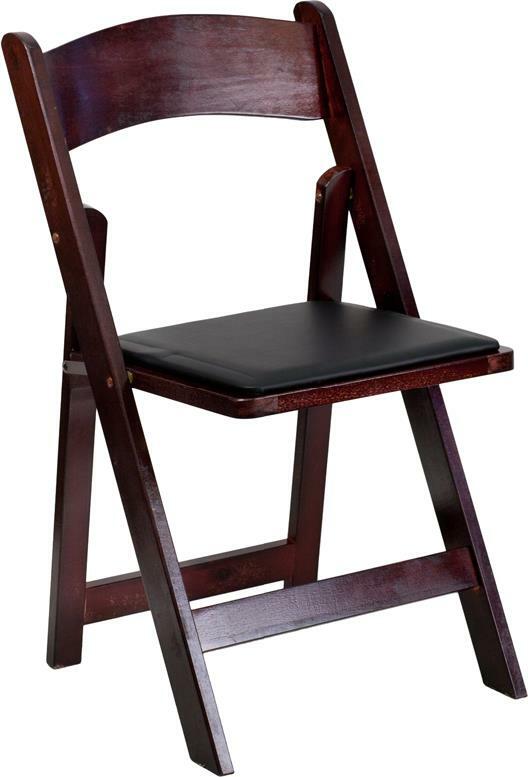 Mahogany is our most popular chair wood tone chair. Your guests and clients will enjoy the rich, warm dark-brown with slight red tones matching authentic Mahogany furniture. Our Mahogany is very consistent in color so when you add to your chairs, they will all be relatively similar in color so the new ones will not stand out.